When you think about it, your music is an advertisement that you are trying to get on the radio. With this in mind, I recently explained how radio plugging worked to a planner and buyer within a big London media agency. Planners are the people who decide where advertisements are placed, and buyers secure the space. They do this for some of the world’s biggest brands. This is how I explained radio plugging. “As an unsigned band you are told to achieve success you need to hire a radio plugger to help place your music on radio station playlists. Typically you will pay between £800-£1500 per single. The campaign will span approximately 8-10 weeks and at the end of it, they can’t guarantee you any radio play at all. “If we were paid £1500 by a client and didn’t actually manage to secure them an audience for their advert we would be fired, this is absolutely crazy. Our media plan ensures the advert reaches the right people at the right time to maximise effectiveness. In this case your song is your advert, so to have no control over where your advert is placed makes no sense. If you spend any time within media agencies you’ll hear the terms ‘Reach’ & ‘Frequency’ these are two key tenets of any campaign. Reach refers to the % of your desired target audience that will be ‘Reached’ by the advertising campaign and ‘Frequency’ refers to how many times your target audience will be exposed. Logic and a ton of research suggest that the combination of these two factors is the key to success, having one without the other is unlikely to work. Once again radio pluggers fail to deliver either reach or frequency for unsigned artists. Even on the off-chance your plugger gets you on BBC6 Music how often do they secure you both reach and frequency? Let’s face it you won’t get a place on their playlist, a late night spot play is the best you can hope for, while a late night spot play on an internet, regional or community station is more likely to be the result. Reach and frequency helps you convert listeners into fans. But when you have limited reach and one-off frequency that’s unlikely to happen, there is simply no chance to build enough momentum among enough listeners to convert them from listeners to fans). The journey from listener to fan. How many people complete this journey on the back of one play on late night regional radio? So if you don’t spend £1500 on radio pluggers each time you release a single what is the alternative? What’s the alternative to expensive radio pluggers? As an unsigned artist you keep 100% of the income you generate from Spotify. Start making playlists featuring your music, share them with your friends, family and fans are encourage them to do the same. Creating buzz on Spotify is far easier than creating buzz on radio, it’s in your hands and it’s free. If Spotify sense a buzz they will add your music to one of their own curated playlists and at this point things can literally go crazy. Just ask The Daydream Club an unsigned artist from Leicester who started this way and now attract around 1m streams per month. That’s approximately £2,000 a month. Read more about what happens with Spotify playlists unknown artists here. Promoting your own music is important, but it still helps to have the endorsement of others. Having a quote from a blog or influencer is important. Here is a simple way to build up a PR database of your own. Visit the Hypemachine website. (Hypemachine is a music blog aggregator). Search for artists that sound like you. Find the blogs and the authors that are writing about these artists. We recommend starting with no more with ten at a time. Send them an email promoting your own music. Start by introducing yourself, tell them how much you enjoyed the article they wrote about the artist that sounds like you and suggest if they like them, they will also like your music. By spending some time supporting them, you will greatly improve the chances of them supporting you. Remember bloggers and artists share a common desire…to get more people to check out their work. The penetration of Facebook is almost total, so if you want to only target males, aged 16-21 in Bath who also follow Stormzy and listen to Resonance FM you can. You can create an advert or promote an existing post to either your existing fans or go dark so only non fans see it. Start by keeping budgets low (£3 will reach approximately 1,000 people) and test out a couple of different audiences, with a couple of different content options (tracks, videos, playlists) to see which ones deliver the best results. Remember to insert a quote from the blog coverage you have achieved to provide some added gravitas. 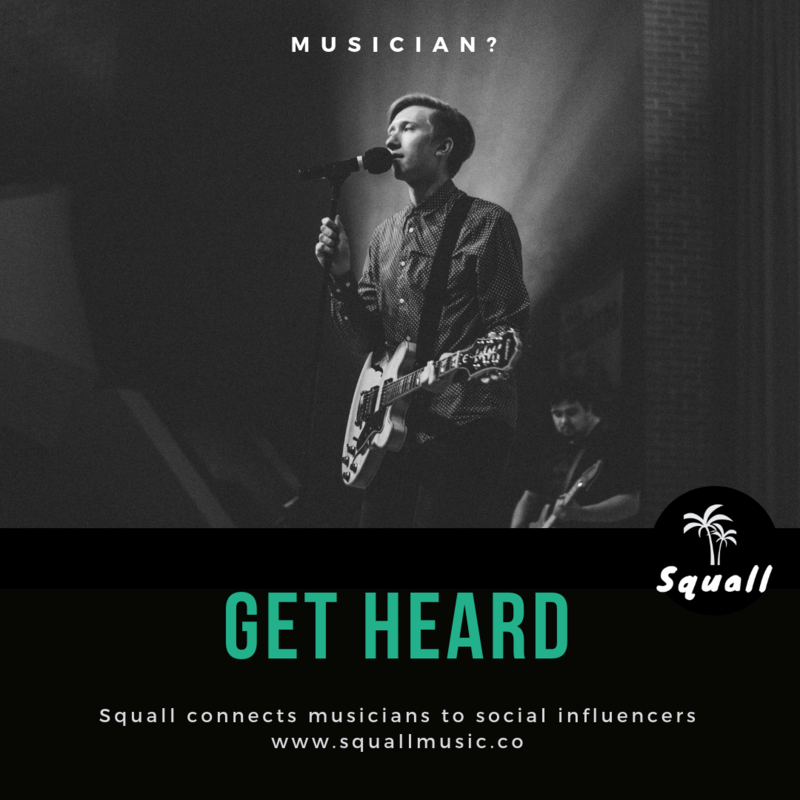 Another option is to use a service like Squall, that enables you to directly connect with social influencers to promote your music. To be clear, this article is not suggesting radio can play no role in promoting music. 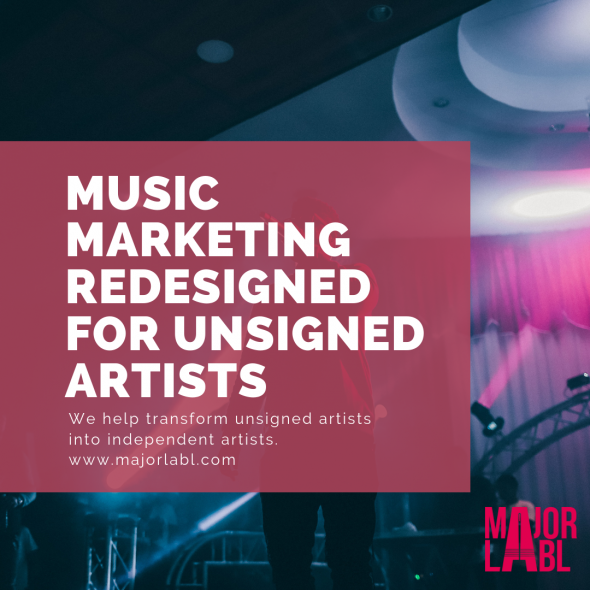 That would be foolish, our recommendation is simply that as an unsigned artist you can spend your money much more efficiently and achieve much greater success by focusing on the channels you can control. Once you have become the most talked about artist on the Internet, and you have record labels beating down your door – let them pay for radio pluggers! At this point you will be able to get on playlists and radio will actually deliver reach and frequency you desire, but until then keep your hands in your pockets. Right Chord Music offers pay as you go management for unsigned bands, and independent artists. Find out more here.